In the last 15 years we’ve always ran a dedicated generator circuit to the server room w/ a 2kva (and then years later a 6kva) generator plugged into the other end. This was super cost effective, as we only needed a generator, some basic electrical installation to our panel and a bit of know how. But the down side to this was that it required a bit of manual intervention if we had a power outage. We had to get the generator fired up, make sure it had clean fuel and plug in a few cables, then flip over all the breaker switches on our transfer switch sub-panel to convert power coming inbound from our dead utility lines to the live generator. When the power goes out, we were notified via text and e-mail, and we have about 3 hours to get to the office, fire up the genny and put the servers on the generator power. Then wait for the power to come back on and start perform the process in reverse. Not a bad option really, just kinda stinks when it happens in the middle of the night, which luckily wasn’t often. 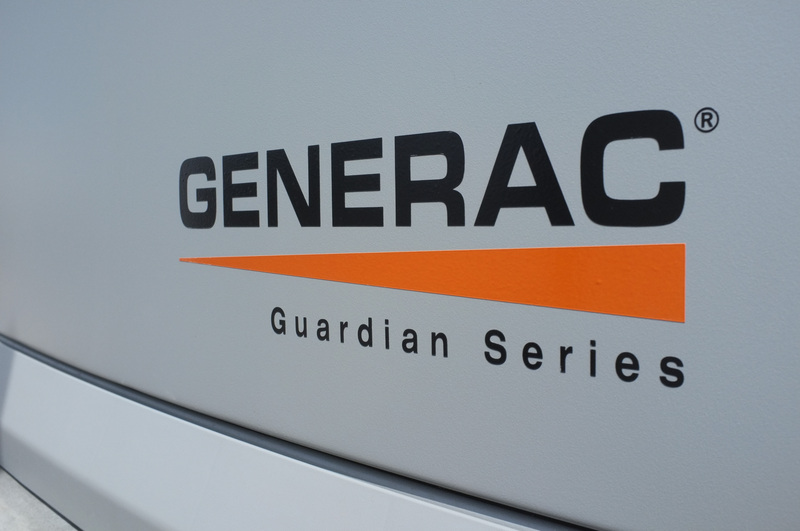 The new generator is a 20KVA natural gas Generac Guardian model, installed and maintained by Chris and his guys over at NWI Generator, equipped with it’s very own automatic transfer and weekly testing. The generator is equipped to contact us via cellular tower whenever it’s online, offline, faulted (yeah, hopefully that never happens) or needs maintenance. During power disconnect, the generator will automatically fire within 20 seconds and automatically switch to generator power power within 20 seconds of power failure. Since we don’t have any way to really diagnose how “clean” the power is (we did try, then realized the tools necessary have a $2800 list price, so we went back to eating pizza), we used a simple incandescent light test (watch incandescent lights closely and see if they hum, dim or flicker at all), and I will say that this generator seems to be definitely functioning cleaner than our last generator and manual setup. Word of caution – It’s important to really stress that powering desktop or server computer systems with self-generated power is a bad idea. 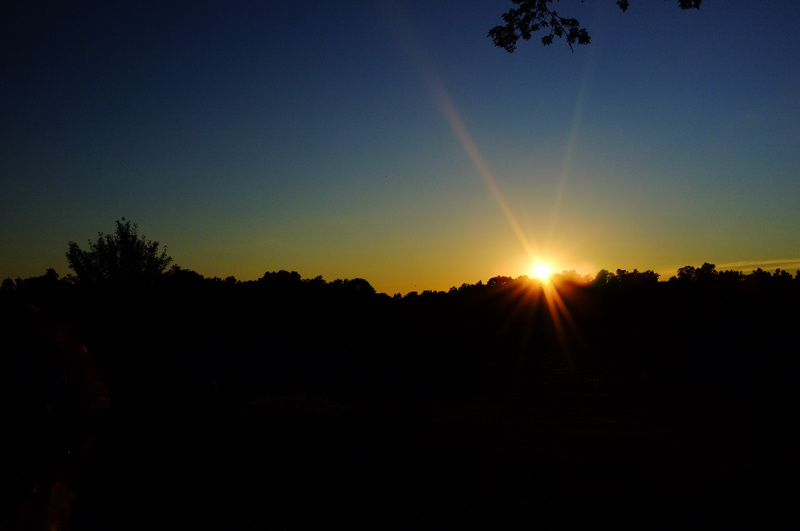 Lights, furnaces, even AC units have a bit of a range of dirty power they can operate in and not cause any damage. But powersupplies, hard drives and sometimes even main boards are on a fast track to the landfill if you ever power your systems off generated power. Even using ultra high quality power supplies with gold or platinum ratings, I’d still recommend erring on the side of caution and turning your computers off when using generated power (laptops are probably fine btw). Of course a few generators do exist that can do this, but they aren’t typically found at your local hardware store (for those of you really curious, take a look at the Honda EU series w/ inverter technology). Obviously, turning off servers when we are waiting for the power to come back on defeats the purpose of having dedicated servers and generators in the first place. So we need to come up with solutions using the highest quality double conversion pure sign wave UPS systems that we can afford. Stay tuned next time for detailed UPS and power conversion thoughts!